Tennis has such a short off-season that I got to interview Canadian tennis phenom Milos Raonic again, less than two months after he was name the ATP Tour’s 2011 Newcomer of the Year. We spoke during a conference call on Tuesday to discuss his championship at the Chennai Open and how he was preparing for the Australian Open, which begins this weekend. Raonic was a good interview, as usual, fielding questions for about 20 minutes from me, the QMI Agency, the Globe and Mail, TVA, RDS and Tennis Quebec. (Yes, three Quebecois outlets… tennis is bigger in La Belle Provence). Canadian Milos Raonic has everything ready for the Australian Open. The No. 23 seed at the first Grand Slam event of the tennis season has worked out all the details, from his training regime right down to where he's going to eat dinner. Anything to replicate and surpass his success at last year's Aussie Open, when the Thornhill, Ont., native made it to the fourth round. 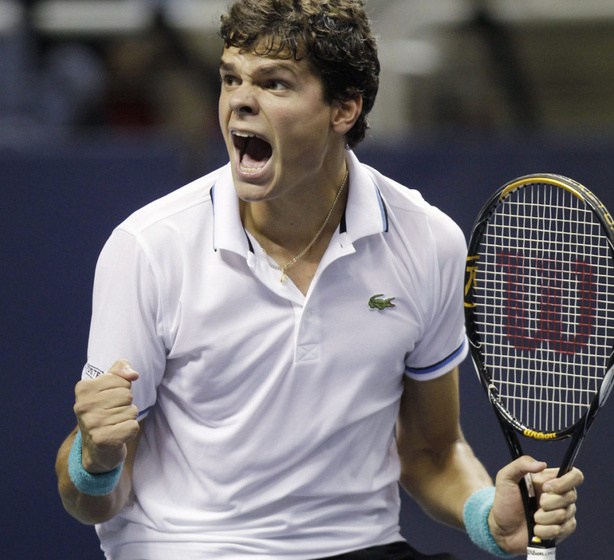 "I'm not really getting ahead of myself," Raonic said. "I know the things I need to do and I know that I'm just going to keep getting better and better with more matches, so I'm really just going after it as if it's sort of my first time here.